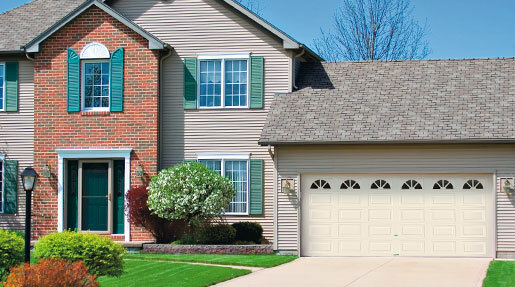 Enhance the appearance of your home with the Deluxe Plus Series by Garage Doors of Scottsville. These handsome residential garage doors combine the beauty of wood-like design with the strength and easy care of steel. Available with a variety of panel styles, the Deluxe Plus Series features insulation surrounded by two steel skins, thus providing durability and noise reduction. A choice of window styles and durable baked factory finishes lets you select the perfect door for your home.